With the introduction of the Sierra version of the operating system on the Mac, there can be a problem with the downloaded RAAViewer app. This will be manifest by an error message on opening the application which will say that the RAAData file is in the wrong location. This has to do with how Sierra "isolates" the RAAViewer app. The work-around is to move the RAAView app out of the folder with the the RADData file and the RAA_Images folder (say put it on the Desktop). Then put it back in the folder. Now it will work as expected. I hope to come up with a more sophisticated answer to this problem when I have more time and more understanding of this "translocation" problem. 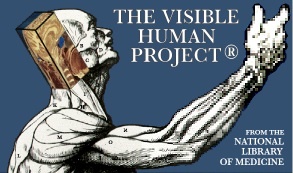 A free program, available for Macintosh and Windows, that allows viewing of labeled images of human anatomy. The labels are linked to a database that offers in-depth descriptions of the parts of anatomy. An image or series of images is stored in a folder and then accessed by the program. Many folders of images are included with the download and the user can access them using the program on their own personal computer. The download is large because it includes over 1500 labeled anatomic images. You might want to first download or view the manual, which is relatively small, to get a better understanding of the program. The program is bundled with several sets of images. 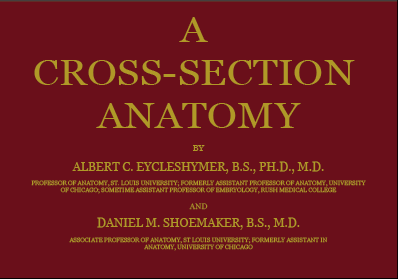 These include illustrations of the human body published in Eycleshymer & Schoemaker’s A Cross-Section Anatomy and photographs of axial slices from the Visible Human Project. See the release notes for information on newer additions and consider downloading the latest version. RAAViewer incorporates information from Terminologia Anatomica. If you are interested in this resource, independant of RAAViewer, you might want to check out this link, Terminologia Anatomica . Macintosh users with access to the application OmniOutliner, can download an outline version of Terminologie Anatomica here.